What if I miss a connection on a special fare because my first train was late? I am looking at booking a train journey for 2 of us to go from Berlin to Amsterdam in March. However, the special fares of €73 only give us a 5 minute connection time. If we change the connection time to longer then the price is no longer on special and full price its over €220! In the UK if you miss your connecting train because the first one was delayed they have to allow you onto the next train as it was their fault you were delayed. We can not find any info on this on the internet and don't want to pay €73 only to end up paying a penalty fare on the day for not being on the right train. Does anyone know how it works? I know other travellers also wondered what to do if a connecting train is missed, here's the update. 1) To continue the journey on the next ICE /IC train you need to contact staff at the DB service point at the train station. They will confirm the delay and make your ticket valid for the next ICE train to your destination. 2) You can use a Regional Express, or any other local train, without problems. These trains don't take reservations anyway, so your ticket is good. Thanks Rita I think we will book the train through to Amsterdam via Hilversum and if we miss the connection we will buy a ticket on the day to do the last bit. Train Ticket Offers in the search results. Jeez, this is tricky. I would say even if the train is in time, 5 minutes is very short. When there are many other travellers leaving the train, with lots of baggage, it can take a few minutes to get off the train. 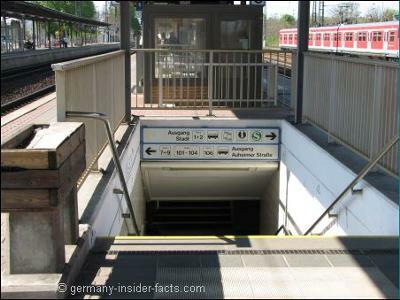 Perhaps you need to change platforms as well, meaning walking down stairs into a tunnel, walking up stairs on the platform you are going to leave. Are you talking about the connection where you change trains in Hilversum? Even if I could find out what the Deutsche Bahn policy is on this issue (missing a connection with a special price ticket), I don't know if this is valid for the connecting train in the Netherlands too. If you mean the Berlin - Hilversum - Amsterdam connection, you could book a ticket Berlin to Hilversum. From Hilversum to Amsterdam it is not very far, you can buy a ticket which is only between 3 and 5 Euro per person.